Recently, I got an e-mail from a reader who was curious how I learned about various healing and psychic phenomena. I studied energy healing as part of my yoga therapy training years before I wrote my first book, and I visited a variety of healers and psychics (some gifted, some questionable) as part of my research. And of course, I read. Two years ago, when this blog was new and not many people had found it yet, I wrote about some of web sites, books and scholarly journals I’ve used as resources. This week, I’m bringing it back for new readers. The post is recycled below. 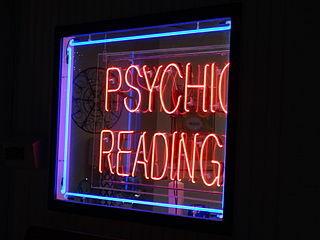 After I taught a stress management workshop as part of one of my college courses, a young man came up and asked me if I knew anything about being psychic. (He must have been psychic to think to ask me.) He had recently started having precognitive dreams and wanted to learn more. These are some resources I recommended to him. If you read my books, you may also be curious. I list references in the back of The Calling, including some of the articles and web sites used in the course Bernadette and Charlie teach. In the scene where Mae and Hubert read the about PEAR lab studies, I tried to give readers a sense of the solid scientific support there is for remote viewing and also remote influencing of what should be random events. (PEAR stands for Princeton Engineering Anomalies research.) The articles from the PEAR lab, and the ones on affecting the output of random event generators (REG) are a little dry, as scholarly articles can be, but the site can give you a summary of the work done there. For more accessible reading on the subject, I suggest Rupert Sheldrake’s book The Sense of Being Stared At. The title refers to one of the topics he has studied in depth. Yes, we do feel it when we are being stared at. A fun yet solid book exploring energy healing and the power of the mind to influence events is Afterwards You’re a Genius by Chip Brown. (Published in 1998, it’s now out of print, but used copies are available on Amazon. )Brown enrolls in an energy healing course, and fills in the science around the story through research and interviews. The title is a quote from Dean Radin, a scientist who studies such things as the ability of human intentions to influence REG machines and robots. His point was that when you first start studying wacky stuff, you’re a wacko, but afterwards, when your work is accepted, you’re a genius. I found a trove of fascinating stories on the web site The Archives of Scientists’ Transcendent Experiences. Scientists may not like to admit that a mystical or psychic event happened to them. This site served as a safe community for those who had such a story to share. It is currently inactive—no new posts—but readable. The journal Explore is wonderful. I recommend subscribing if you are seriously interested in healing studies. I encourage you to sample the brilliant editorials of its editor Larry Dossey. When he was editor at Alternative Therapies in Health and Medicine, the peer-reviewed journal I cite often in The Calling, I used to look forward to his editorials as the highlight of the journal. He unites science, poetry, and wit with a unique voice. He can integrate the most unlikely images into a coherent, thought-provoking essay. I also recommend Dossey’s book the Power of Premonition. I’m currently reading a book which looks like promising addition to my list, Dr. Larry Dossey’s most recent work, One Mind. I’ll review it here when I’ve finished. Dean Radin’s Supernormal is waiting in my Nook, and when I get to it, I’ll share my thoughts on it as well.